Here’s the body-positive news you need to know from the week of January 11th. Can you believe we’re already more than halfway through January? We can barely believe it ourselves. 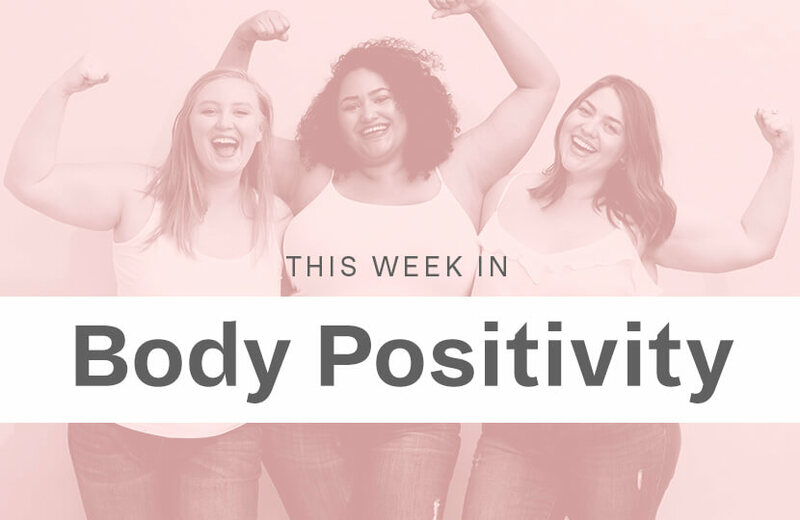 Even so, we’re back with another roundup of body-positive articles from the past week. Keep reading for the debate between “body positivity” and “fat acceptance,” tips on raising children with healthy self-images, and the negative trend that needs to stop in 2019. When we talk about body positivity, fat activism should always be part of the conversation. Though we still have a ways to go in terms of completely erasing weight bias, without the second-wave feminists who started the fat acceptance movement, we’d be nowhere near where we are today. The term “body positivity” isn’t one size fits all. Some prefer “body neutrality” or “body acceptance,” which both remove the pressure to always feel confident. The article concludes that you don’t have to prescribe to the same movement as your friends—but that allyship is always important. According to psychologist Alexis Conason, the secret to raising kids in a body-positive mindset starts with tackling your own relationship to your body. People are talking all over the internet about plus-size model La’Shaunae Steward—but, unfortunately, not all of it’s positive. Taking shaming to a whole new level, some naysayers are feigning concern over La’Shaunae’s health to cover up their lack of acceptance for different body types. The writer also says—and we agree—that it’s time for more diversity in plus-size models. Want more of the latest news from the body-positive community? Bookmark the Know section for up-to-date developments!